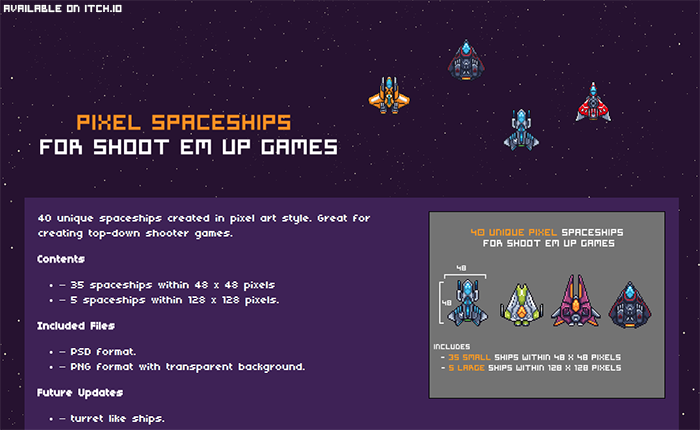 I decided to give Itch.io another try and uploaded my pixel art spaceships pack there. Previously, I uploaded my Futuristic 2D Sprite Kit but sales were non-existent. One thing I did differently this time was to spice up the page with nicer backgrounds and banners. Hopefully the pixel art spaceships pack will fare better this time.